I met a wonderful family of three last week (and grandma too) and we had fun taking lots of pictures of this little sweety on his two-week birthday. 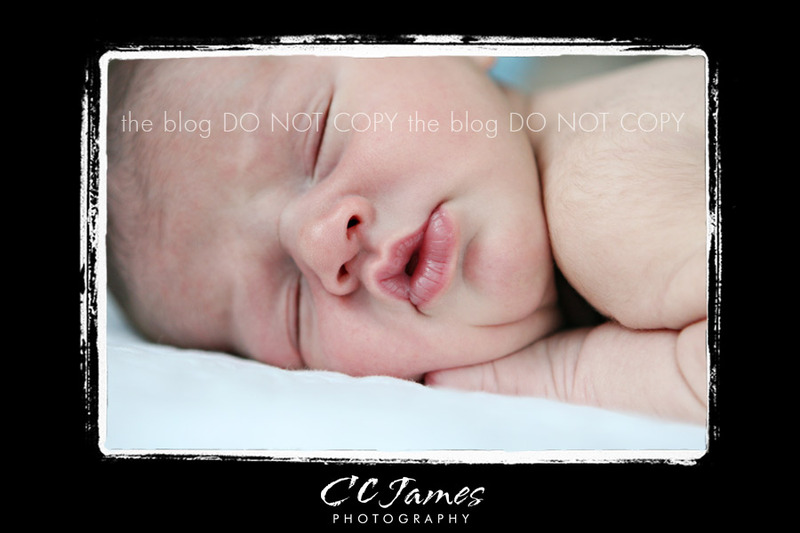 At first he wasn’t the most willing participant but finally he got sleepy (for a little while) and we got some adorable shots. First up – an antique crib that had been passed down several generations. Isn’t it sweet…. Had to include the close up of the lips – so mushy and sweet. 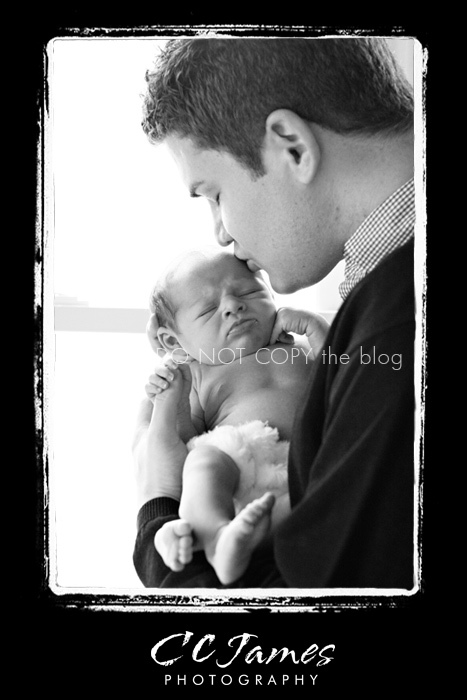 I’m a sucker for daddy and baby pictures – they are usually my favorites. This is no exception – just look at little Mr. M’s face. The whole family. I love how he’s holding dad’s finger with one hand and clinging to the passy with his other hand.